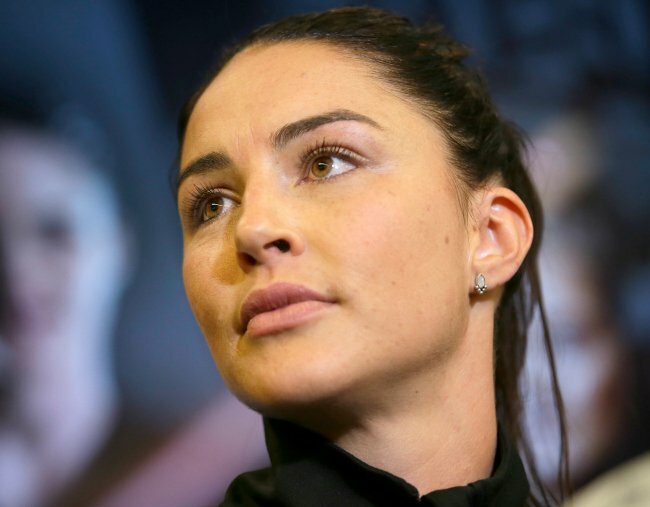 Sharni Layton on netball and her family: "The people that made me." Sharni Layton: "I'm living my netball dream. But I wouldn't be here without these people." Sharni Layton plays for the Collingwood Magpies in the Suncorp Super Netball and will retire after the 2018 season. The Commonwealth Games gold medalist and two-time World Netball Cup gold medalist writes for Mamamia about how her teenage dream turned into something more. You don’t get to be an elite athlete without having confidence in yourself and your ability. It’s a part of the package of professional sport. But that doesn’t mean we are born with it. In fact, to get anywhere in life, whether it’s sport or whatever chosen field you excel in, it takes a village to back you and help bring out the best parts of you. It all starts with a dream and a team. I remember sitting in the crowd of an international game back in 2004. Knowing there were over a million girls that played netball in Australia – yet only 12 on the main stage for their country. As a 16 year old, my confidence was low but I knew what I wanted deep down. I asked myself, how on earth could I be one of 12 in a million girls? That year, I was picked up in my first Melbourne team. Due to many factors, one of which being low self-esteem, I spent four years on the bench in Victoria. Confidence takes time. For me, it improved when I moved up to the Australian Institute of Sport for two years and trained twice a day on the basic skills I needed to improve and also played with girls my own age (21/U rather than Australian Players). This was a huge stepping stone in starting to believe in my ability and myself. The following year, my dream came true. I was selected for the 2011 World Netball Championships in Singapore, and that’s when my passion turned into a career. The more experience I gained, the better I played. And I was fortunate enough to be surrounded by people who supported me. Although I get all the glory, I didn’t get there alone. Without my mum, I would have quit. I loved horses and wanted to ride in the Olympics. But mum saw my talent in netball, so she strongly encouraged me to keep at it. Every time I had a bad game, bad day, bad week and want to quit, Mum would encourage me and lead me back to training. Even if it was by the heels! She drove me to all my trainings – which added up to over 500kms a week – just to make sure I had the best possible chance at reaching my full potential. For early morning sessions, I would sleep in my training gear. At 4am she would wake me up, grab my shoes and school bag and drag me to the car. She would drive me an hour into the city (while I slept) and would sit and wait from 5am to 7am as I trained. She would then drive me back to school for the day. Dad helped my confidence by encouraging me to be myself and never worry about what people think of me. He taught me to stay strong to my roots and no matter what, I always had my family. But that didn’t mean I didn’t have to give my all to find out whether it was possible or not. He would never let me slack off, whether it was with training or homework. If I had something to do, I had to get it done. Using TV as a bargaining tool always worked! It wasn’t just my parents who helped me aim high. Simone McKinnes was my coach when I was in Canberra. World Youth Cup 2009 was my original dream. When I was drafted to Thunderbirds in 2010, I played my first games in the ANZ Championship. Proving to myself I was probably capable the whole time of playing at this level, the difference this time around compared to Melbourne was that I KNEW I could do it now. I was learning how not to let an off game get me down – a lesson everyone playing any sport can relate to, whether you’re doing it for fun or a job. Golden moment: Kimberlee Green, Renae Hallinan and Sharni Layton after winning gold at the 2014 Commonwealth Games. Image: Getty. It&apos;s hard to perform when you live away from home; luckily the beautiful Lunniss family took me in. I had their spare key within a week of meeting them. They would come home and find me in their pantry or on their couch. They cooked me dinner and wrapped me up in cotton wool when I was sick. They lifted me after a bad game, celebrated with me after a good game. But no matter the highs and lows – they were (and still are) a staple in my life. Also in my support team has been my sports psychologist Jen Williams. She taught me that an athlete who trains the mind as much as their body separates the best from the rest. More importantly, she also taught me that being kind in life and sport is the key to success. And like Dad taught me, by doing the hard work on and off the court mentally and physically with the right support around you is the key to success in all aspects of life. So to the team behind the team, my Sharni Army, all of whom could not be individually mentioned in one article. I couldn&apos;t have made it without the love, support and confidence you gave me. Words are not enough. I hope to inspire other young women to go and chase their dreams, whatever they are. And remember, there is no such thing as fear, only feedback. Unless we get up and give something another go – our confidence shall not build! According to recent research, nearly 50 percent of girls aged 16 to 18 decreased their participation in sport, compared to 33 percent of boys. Sports participation and family support are two of the biggest confidence builders for teenage girls. Find out more about Suncorp #TeamGirls, an initiative that&apos;s all about creating a nation of confident girls. This content was created with thanks to our brand partner Suncorp #TeamGirls.